Autumn has arrived, and that means so have the rodents. As the Georgia temperature begins to drop and the leaves begin to fall, the rodents around the proximity of your home may decide that your house looks pretty inviting. Squirrels, rats, and mice can all potentially storm your attic, scurry around your garage, and burrow their way into your basement. After all, a mouse can get inside crack the size of a quarter! Once these rodents make their way inside, these crafty critters will make themselves right at home as they shred insulation, chew through electrical wires, gnaw on wooden trims, or even share your food supply. These cunning creatures have the ability to destroy your property and potentially expose your family to various diseases such as rat-bite fever, salmonella, Hantavirus, bubonic plague, and rabies. Rodents rapidly reproducing and building an army to take over your home. Squirrels can produce up to six infants a year, while rats can birth up to 12 pups every 23 days. Mice can breed up to 60 mouse pups in a period of 90 days, so it is imperative to take care of this pest problem before it becomes a larger issue. 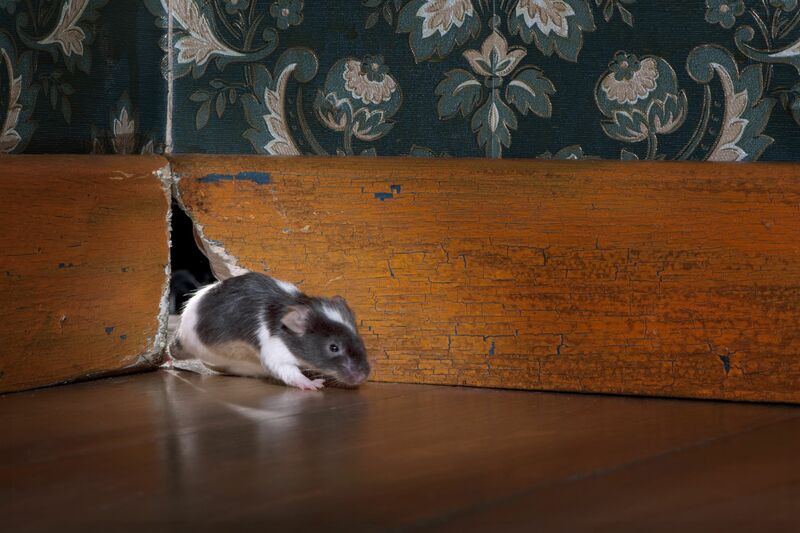 If you have a rodent infestation in the metro-Atlanta area, contact us online. What are the Top 3 Rodents that Come Inside Homes? The top three household rodent invaders are squirrels, rats, and mice. 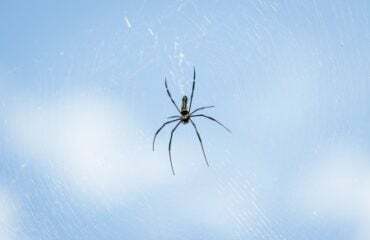 There are numerous ways to get rid of these pests, but the best way is to prevent them from getting into your house in the first place. Preventative maintenance is a much more effective AND affordable approach to keep out unwelcome guests. Keep reading to learn how to prevent a rodent infestation this fall. The best way to keep pests out of your home is to seal off entry points. This can be very hard work since mice are able to shimmy through an opening just ¼ inch across. Check out your house to see if you may have any broken windows, busted sills, or any cracks in the siding or foundation. You need to have these problems fixed in order to prevent pests. These are all areas that can potentially have gaps for rodent entry. If you have vents in the foundation of your home you may want to replace the screens with something more durable to prevent pest entry. It is important to make sure that your trash cans have tight-fitting lids and are preferably made of metal. If you have to use plastic trash cans, you should at least make sure that there are no holes in them. Trim the bushes and shrubs outside of your home away from the ground so that nothing can hide underneath them. Also, be sure to store firewood at least a foot off the ground and do not make brush piles in your yard as this makes a perfect home for rodents. Pet food is a delicious treat for rats and mice, so make sure to store your pet food in a container with a tight lid. If you like to garden make sure to keep your plant seeds and fertilizer stored in a sealed container as these are viable food sources for rats and mice. Also, do not store firewood in your garage or shed, as this is a potential nesting site for rats and mice. Trim or remove tree limbs that are within 8-10 feet of the roof of your home. This prevents squirrels from jumping from tree limbs to the roof of your home. These tips should help you prevent the infestation of rodents in your home, but if you do have rodents in your home be sure to contact a wildlife control professional to remove them. A rodent infestation comes with an increased risk of property damage and potential injury, so it may be dangerous or inefficient to try to deal with it on your own. 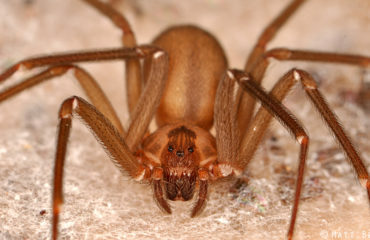 Contact Any Pest, Inc. today or call us at (678) 888-0035 for a free estimate! 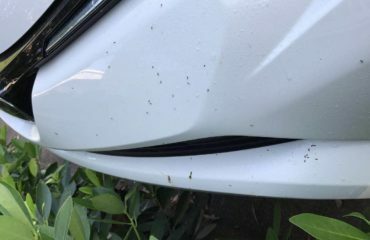 I Have Ants In My Car — Help!